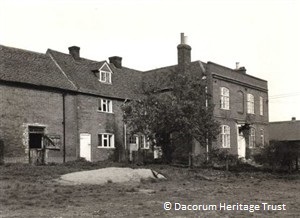 A history of farming in Kings Langley | The Dacorum Heritage Trust Ltd. The Estate dates from 1086 when Ralf Chenduit “held of Robert, Count of Mortain, land of the capital manor of Langlei called Chenduit”. The descendants held it until 1276. The remains of a much-reduced manor then passed to the Parker family; Edward Parker was a Court Baron in 1427. In 1712, a Mr Walker paid rental for his house and land called Shendish, but in 1727 John Kentish, husbandman and a Quaker, died here, leaving his brother Richard with the farm of 333 acres worked by 12 labourers. In 1853, Charles Longman bought the Shendish Estate and between 1854-6 built the existing Shendish House. At the beginning of the 1900s, the tenant farmer was Thomas Butler, later to be succeeded by William Banting. They dealt principally in hay and straw, sending wagons to London which were loaded with soot, ashes and fertiliser for the fields on their return. In 1931, the entire Estate was offered for sale, with the specific proviso that the current farm tenants were to be given the option to purchase. In 1713, John Carter and his son were the tenants; this farm of 504 acres later changed hands several times. It was in 1741 that John King took over the lease of the farm. In 1758 he left his son John at the farm and went to live at Langley Lodge House. They relinquished the properties in 1762. From 1763 and until some time after 1841, the Newman Hatleys, (father and son), proved themselves the most progressive farmers in the district with dairy, livestock, and arable together with clover and many root vegetables. They also went into sheep farming, using the Leicestershire breed in place of the usual Wiltshires, as they “did not lose weight in dry conditions”. When the canal was built, Mr Hatley organised transportation of food to London by barge, with a return load of night soils and soot for manuring his land. Newman Hatley, junior, was included in the 1841 Census with his wife, 2 female and 4 male servants. 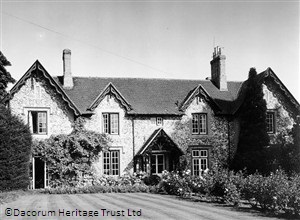 The farm was bought by E Henry Loyd of Langleybury and, like Balls Pond Farm, was purchased in 1919 by Hertfordshire County Council to provide smallholdings for ex-servicemen. Some of the smaller farms created for ex-servicemen we know today by the names of Broadfield Farm, Middle Farm, Moat Farm and Wayside Farm.